Broadcasting from the cool scene that is Dalston, Diesel are providing some good tuneage via their very own radio station. 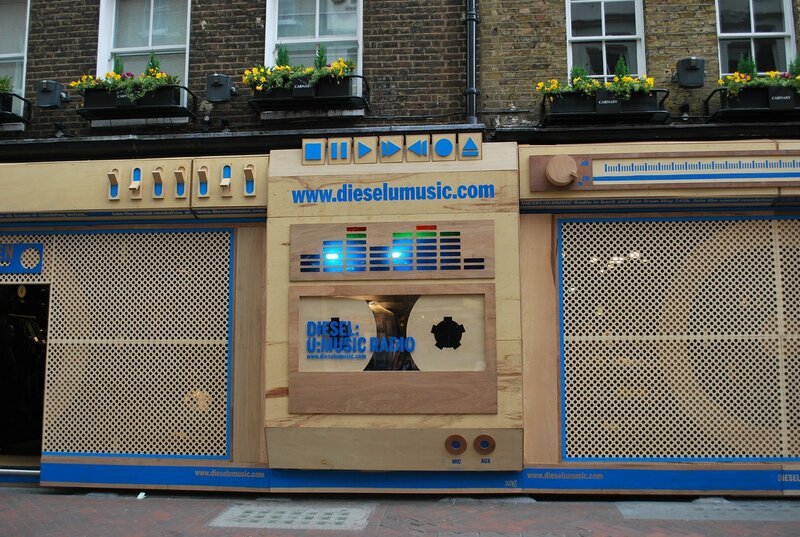 To celebrate, Diesel has once again challenged the boundaries of VM and replaced its Carnaby Street storefront with a pretty impressive large-scale wooden radio-face replica. The launch also coincides with this years U:Music hunt where Diesel look for the two best bands to take on tour across 10 cities. The winning artists will begin their journey in July, stopping off at Berlin, Paris, Madrid, London, Tokyo and New York. The radio will be streamed live from dieselradio.com for five more weeks before returning in September.